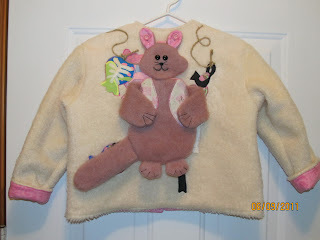 Well I am a bit groggy this AM as I was up quite late finishing this jacket. I was having a bit of trouble remembering how the backpack was constructed and after doing a few steps twice I got it done.... Worth every frustrating moment! The backpack is so sweet isn't it! 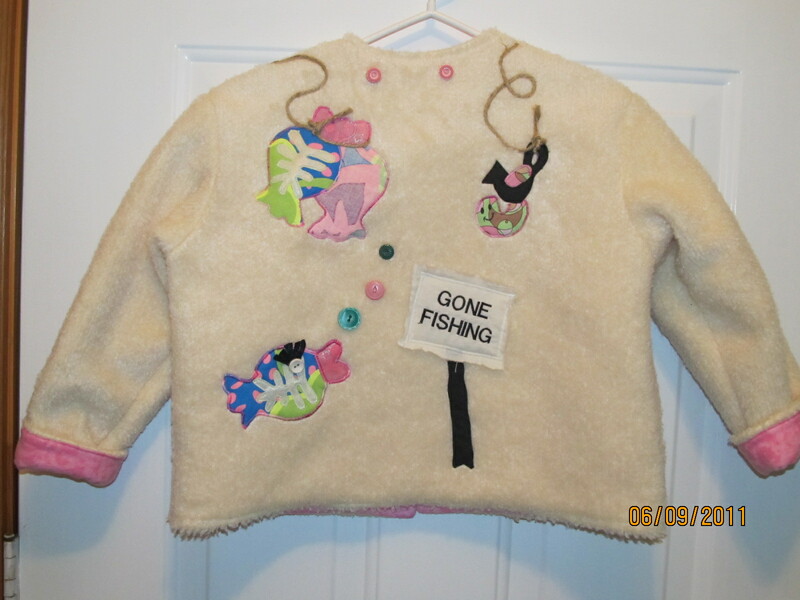 It buttons on by the ears and the arms go through some of the rope fishing line. I forgot about that step (darn)and I had used all my rope... 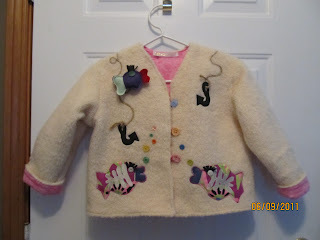 I need to get more so the arms will have somewhere to hold on to.The jackets are made out of Kunin shaggy felt. It is a wonderful fabric, totally washable and so warm and cuddly. It has a soft nap to it.... Very hard to find I might add. I did find some on Ebay. Is this not the sweetest jacket ever!!!!! The twins will look so sweet in them.They are 6 yrs old and just starting school this year. 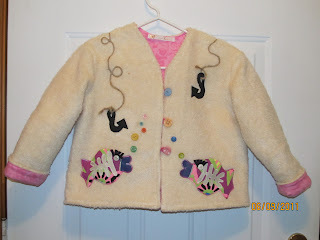 This one is lined in pink and the one I am still working on is lined in Purple... because Emma likes purple and Haley likes pink....Hope to have them done and delivered soon.I should have the final update soon and hopefully I will get a picture of the girls wearing their jackets. Adorable jackets!! Emma & Haley are sure to love them! Maggie, these are so beautiful! !You do lovely work Maggie! !